New Directions Publishing Corporation, 9780811216692, 274pp. 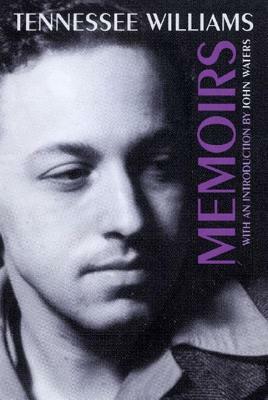 And, of course, Memoirs is filled with Williams' amazing friends from the worlds of stage, screen, and literature as heoften hilariously, sometimes fondly, sometimes notremembers them: Laurette Taylor, Gore Vidal, Truman Capote, Elia Kazan, Marlon Brando, Vivian Leigh, Carson McCullers, Anna Magnani, Greta Garbo, Elizabeth Taylor, and Tallulah Bankhead to name a few. And now film director John Waters, well acquainted with shocking the American public, has written an introduction that gives some perspective on the various reactions to Tennessee's Memoirs, while also paying tribute to a fellow artist who inspired many with his integrity and endurance.